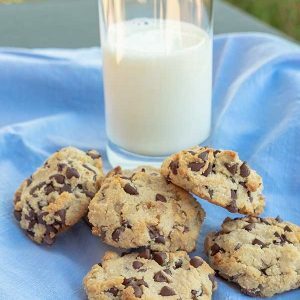 Yes, it is still January, so I must include a healthier gluten-free, low-carb chocolate chip cookie recipe for this month. 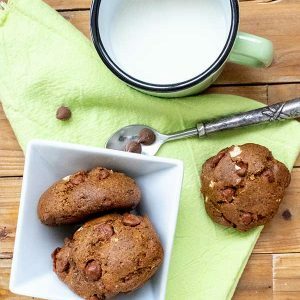 In this recipe, I used heart-healthy avocado oil instead of butter, coconut and almond flour, sugar-free chocolate chips and delicious walnuts. As a sweetener I used xylitol. If you don’t know what xylitol is, it is sugar derived from plants and counts as zero net carbs per serving. As sweetener on a low carb diet, xylitol is a good choice not only because it has zero net carbs, but because it has some health benefits. Firstly it does not spike blood sugar, and it also feeds friendly microbes in your digestive tract. But what I love most about this sweetener is, you use it just like sugar, and it actually tastes like sugar, no after taste 🙂 Moving on to the cookie, the texture is in-between soft-chewy not crispy, and the combination of walnuts and chocolate chips make this cookie a winner. This gluten-free chocolate chip walnut cookie is one of those cookies that is super addictive, it is that good. 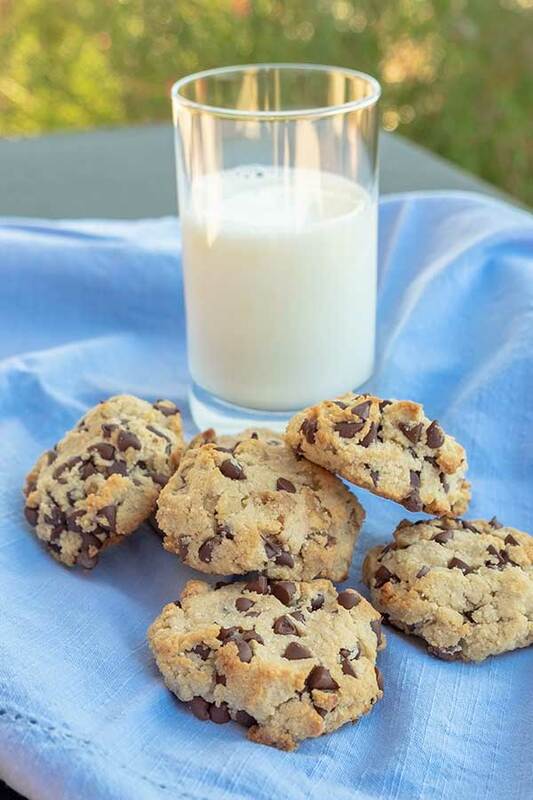 Total net carbs about 4 g per cookie, most commercially made chocolate chip cookies have between 9 – 18 g net carbs per cookie. Enjoy!